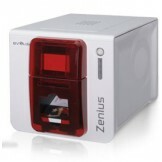 Zenius ID Card Printer Red Zenius is the one-stop solution to print high-quality single-sided cards..
Tattoo Rewrite-The next-generation printer for rewritable cards The ideal solution to issue rewrita..
Evolis introduces Primacy, the printer that will set new records in rapidity, power and high perform.. 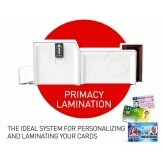 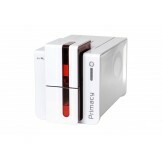 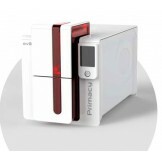 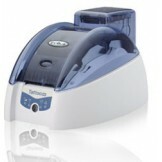 THE IDEAL SYSTEM FOR PERSONALIZING AND LAMINATING YOUR ID CARDS Primacy Lamination is an all-in-o..
Evolis introduces the newest Primacy with interactive LCD Diplay, the printer that will set new reco..
Evolis introduces Primacy Dual Sided, the printer that will set new records in rapidity, power and h..
Evolis introduces Primacy Dual Sided with Intreractive LCD Panel, the printer that will set new reco..
A Retransfer printer designed for heavy duty card issuance activities specially RFID and Smart Cards.. 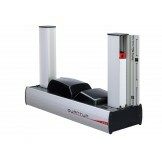 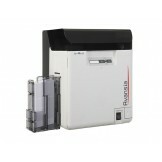 Designed for unattended use or in Kiosks Duplex Printing Holds 1,000 cards ..